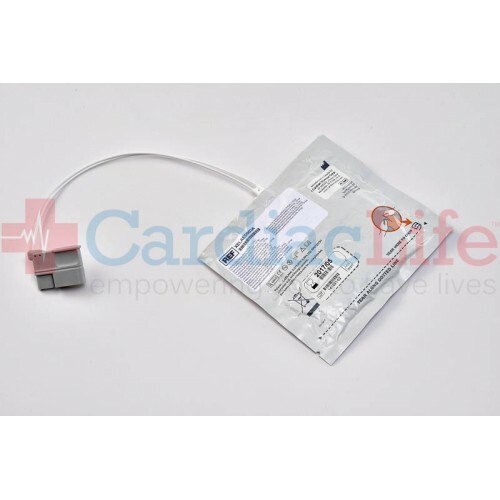 The Cardiac Science Powerheart G5 AED Pediatric Intellisense Defibrillation Electrode Pads are for use with pediatric patients 8 or younger and under 55 pounds. 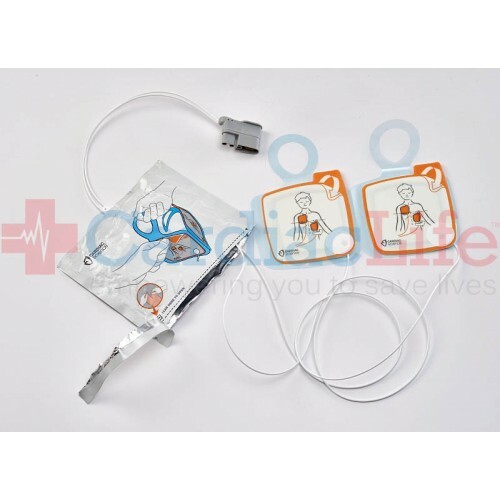 Electrodes are non-polarized, meaning that they can be placed on either side of the patient's chest. They can be stored pre-connected and an alert will sound 30 days before they expire. 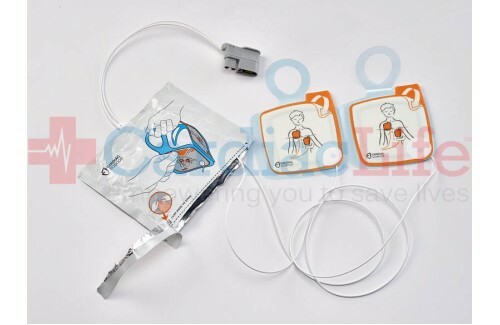 These electrodes routinely self-test for presence and functionality. 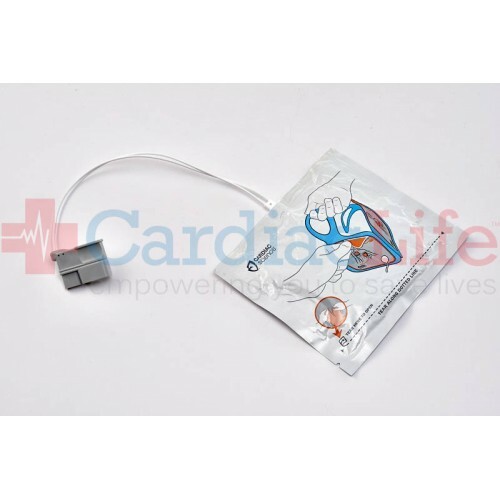 The Cardiac Science G5 electrodes have a 2-year shelf life.